BM Gardens Apartment Hotel offers affordable business accommodation that is conveniently located near OR Tambo International Airport. Rent a fully equipped apartment (with kitchen and lounge) from only R700 per day. Now offering free in-room WiFi! 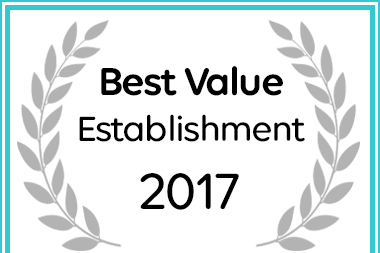 Based on reviews of establishments, BM Gardens has been voted Best Establishment in Edenvale for 2016. 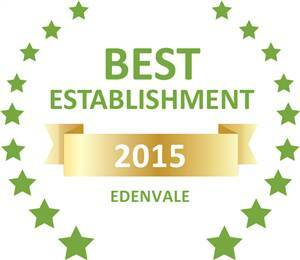 Based on reviews of establishments, BM Gardens has been voted Best Establishment in Edenvale for 2015. 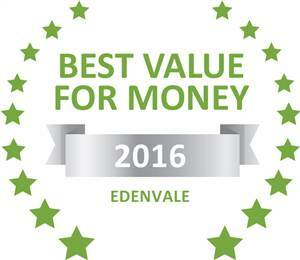 Based on reviews of establishments, BM Gardens has been voted Best Value for Money in Edenvale for 2016. BM Gardens Apartment Hotel provides accommodation for the business traveller that seeks a spacious living environment at an affordable price. This specially converted block of apartments is situated in the East-Rand of Johannesburg - very close to the N12 Edevale off-ramp. BM Gardens Apartment Hotel provides a modern and secure home that is only a 10 minutes drive from OR Tambo International Airport and well known restaurants and shopping complexes. If you are looking for affordable self-catering accommodation, BM Gardens may be just what you need. Contact us for special rates on group bookings and long term stays. BM Gardens Apartment Hotel accepts VISA and Master Card. View our rates and enquire now to book your stay at BM Gardens Apartment Hotel, your premier choice in the East of Johannesburg. BM Gardens Apartment Hotel offers affordable self catering accommodation in Edenvale, Johannesburg.